Have you noticed that around 20% of your teachers constitute 80% of the collaboration projects you develop. This is the Pareto Principle. Named after Vilfredo Pareto, an Italian economist who observed in 1906 that 80% of Italy’s wealth was owned by 20% of the population, it has become an increasingly important concept since it has been noted that this 80/20 split occurs in many other places in life. For example 20% of your time produces 80% of your results. Those of you who are frequently distracted by various interruption in your day know how true this is. The business writers focus on this aspect of the Pareto Principle, arguing it is important to focus 80% of your time on the 20% of your customers who are responsible for 80% of sales. That doesn’t translate into the school librarian’s world. You need to maintain continued contact with your core 20% but you can never minimize the other 80%. Their students need your services and expertise, so you must keep trying to get them to connect more with your library program. The Pareto principal can help out in another way. It turns out that 80% of our decisions are based on emotions and 20% are based on logic—and then we use logic to assign a reason to our emotional decision. This is true from how we vote to which car we decide to buy. So the teachers who are not making use of your services can logically say they have too much to cover in the curriculum to “take time out” for a library project, but an emotional reaction is underneath it all. 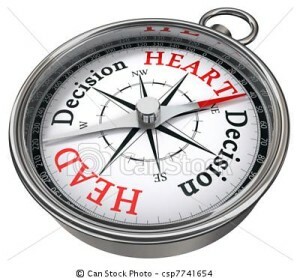 Your challenge is to figure out what is at the root of their emotional antipathy so you can use emotions (not logic) to change their perspective. In some cases teachers are concerned about their lack of tech skills and knowledge. Perhaps the concern is you will judge how they teach or that their class will not behave well in the library. Sometimes it is more basic. They don’t know you well, or there is something about what you project that turns them off. If tech skills are the issue, find a way to bring the teacher in to show some new program (offer coffee and a snack). Suggest you can teach to his or her class in conjunction with a class unit and offer to give a special “tutorial” to the teacher and the two of you can report on it to supervising administrator. If you suspect worry about behavior is the issue, discuss how you take responsibility for managing group work in the library, but work with whatever structure the teacher prefers. 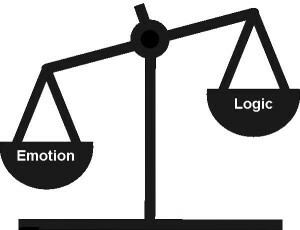 The emotion vs logic percentage also impacts how administrators make decisions about the library. We have justified the importance of school library programs based on research and statistics. All true – and all logical. In general, people really love libraries. We need to focus on the emotional connections to libraries without getting too warm and fuzzy which makes us seem like a frill. It’s a challenge to figure out the right approach but you can work with taglines such as “Your library program – open for your thinking 24/7,” or “Bring your questions, we can help you find the RIGHT answers.” Brainstorm with your librarian colleagues to create the message that will reach your stakeholders. And notice – that 20% of you probably will do 80% of the work.